May: oh, I am not that excited about my birthday this year. June: Meh, no big birthday plans. July: Man. That’s weird… I don’t have any birthday plans. August: Let me plan all of the things!!! August 4-9 or so: BIRTHDAY!! 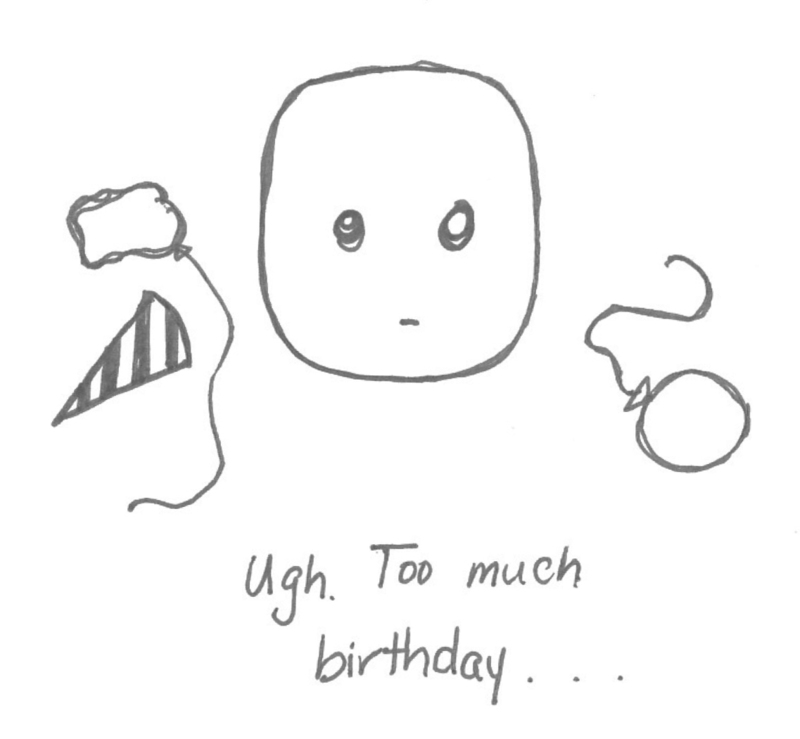 Whatever Monday following my birthday: Good God, my birthday was exhausting. Let’s never do that again. This entry was tagged Birthday, Hangover, The Blob. Bookmark the permalink.